Most Saturday afternoons I fill up with fuel at the Westburn Service Station (Jet) in Crawcrook on my way back from wherever I’ve been with Mum. By the way (and this has nothing to do with anything I’m just wanting to know) is anyone old enough to remember the 1970 World Cup campaign? 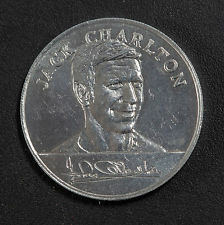 The Jet Station was an Esso garage back then, and I diligently collected my silver World Cup coins featuring Bobby Moore, Bobby Charlton, Alan Ball, Geoff Hurst, Peter Shilton etc. We got as far as the last eight, having won the competition four years previously. England don’t have much luck in the World Cup these days and I blame metatarsals. In 1966 metatarsals hadn’t been invented you see, so footballers didn’t know how to break them. Anyway, back to the garage as it is now, the Westburn Service Station, or Jet as it’s known. On paying for my fuel a couple of weeks ago the unfailingly pleasant lady working there gave me a scratch card because I’d spent over twenty quid. It offered the opportunity for me to win £25 worth of fuel. Imagine my delight then, when a couple of hours later I scraped away the silver film with a coin to reveal; Congratulations you are a winner!! Oh how I danced. I was so excited that I didn’t even fuss about the silver crumbs being trodden into the carpet. I told all my friends about it and informed the rest of the world via Facebook. I then carefully salted away my precious ticket between the pages of my paperback, so as not to mislay it. I went back to Jet last night with just three things, well three things apart from the car obviously. An empty tank, my winning ticket, and a crisp £10 note. I drew my fuel, clicking the pump in little stages when I got near the end, marvelling at my skill in getting the dial to precisely the £35 mark. Into the garage I sailed, wafting my ticket aloft like a trophy. “I’ve got a winning prize!” I was fair beaming I was. “Ah, yes, you have.” The lady reached under the counter, “This is what you’ve won.” She produced a packet of gummy bears, not even a big packet of gummy bears either, but the most miniscule packet of gummy bears you’ve ever seen. I was prepared to overlook this however, such was my cheery mood. “Wow,” I said, “gummy bears as well!” Could life ever get any better? Don’t imagine for a second that I’m having a go at the cashier, because I really like her. She always has time to chat and it’s not her fault, she was just the beleaguered bearer of bad news. Neither are Westburn Service Station to blame, my gripe is with Jet and Jet alone. Of course had the card said, Congratulations you have won a bag of gummy bears, then I would have known where I was, but it didn’t, it said; Congratulations you have won, gummy bears didn’t enter into it anywhere. To add insult to injury closer inspection reveals that they aren’t even bloody bears, they’re racing cars and they taste foul. As the card advertised prizes of fuel, both front and back, I think it was reasonable for me to assume that this was what I would be collecting when it told me I’d won. The ticket was taken from me, but I’ve managed to find the small print on the internet and I have copied it below. It doesn’t exactly make it clear does it? Not when you keep in mind that on the actual scratch card you need a magnifying glass to make anything out. Note the phrase, Don’t miss out on the promotion it is only here for a short time! A shorter time than Jet anticipated apparently, because it turns out that I’m not the only one. A stream of disgruntled ‘winners’ have been similarly duped, and as a direct result of many complaints the promotion has been withdrawn from Crawcrook Jet. I had no other money on me, and I certainly wasn’t going to disrupt my evening plans by driving back home again. I’ve paid the bill today. For someone like me, in regular employment, it’s not such a big deal really, but for somebody out of work, or on a low-income, it would register as a major disappointment, particularly if you’ve had the card for a week or two, all the time thinking you’ve got a few extra quid. You might spend something on a treat for the kids, because you believe that you’ve got a little more money. It reflects badly on Jet, and Total (the Co-op) is directly across the road. You could be one of thousands of lucky winners with JET’s Scratchcard Promotion this September and October! Find a postcode that’s in your area from the list below, copy it and then click on the JET SITE LOCATOR on the right to find out your nearest participating JET site. All you need to do is to spend a minimum of £20 on fuel, pick up a scratch card and you could win your next fill-up on JET. Each site is guaranteed to have fuel prize winners, or you could walk away with an instant giveaway! Don’t miss out, the promotion is only here for a short time! Entry is open to UK residents aged 16 or over only. Employees of Phillips 66 Limited and their immediate families, agents, dealers and their employees or anyone else professionally or associated with the promotion are excluded from participation. The promotion will run between September and October 2015. Customers, who spend £20 or more on fuel in participating JET service stations will receive a free scratch card (while stocks last) with a 1 in 19 chance of winning an instant prize or £25 of free fuel. Not every scratch card will be a winning card. To play, customers scratch the panel to reveal a message either congratulating them on their win or telling them that they have not won this time. 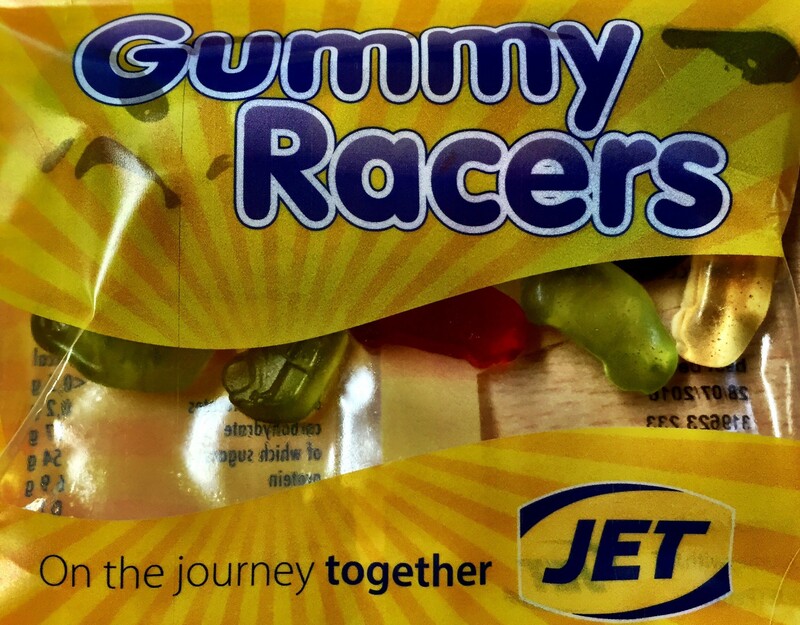 If the customer has won an instant prize the participating JET service station will issue their prize immediately. If the customer has won one of the £25 worth of free fuel, it will state that this can be redeemed on their next visit to the issuing JET service station. The free fuel must be redeemed by 31st December 2015.
e. the Promoter reasonably believes that the scratch card has not been obtained in the authorised manner.